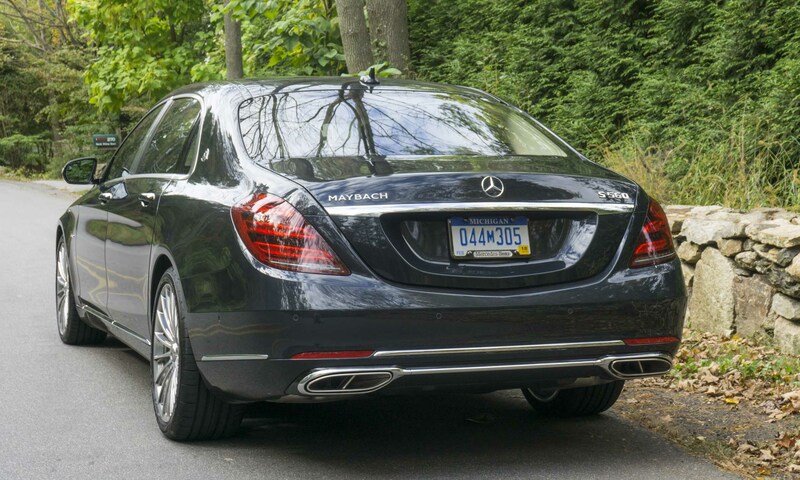 As the first sunny days of spring weather arrive, for many drivers a shiny, clean car becomes a priority. 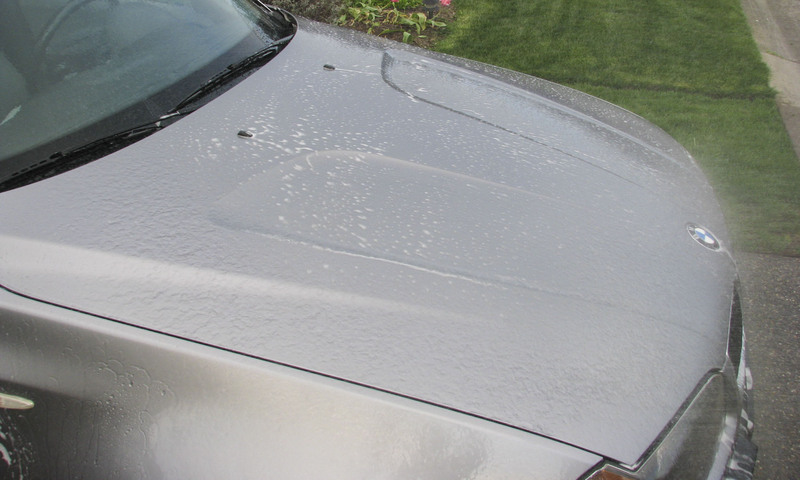 What’s the best way to restore a car’s luster come spring? 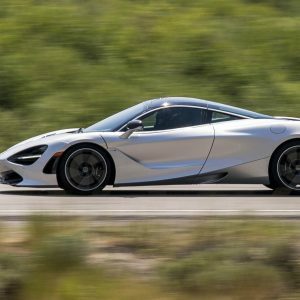 One option is leaving your encrusted vehicle at a local detail shop, and several hundred dollars later it will be looking its best once again. But if you have a few hours to spare, as well as a little motivation, you can get similar results. 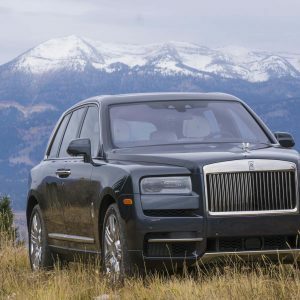 By employing some common sense and expert advice, you’ll end up with a great looking ride, you’ll have the satisfaction of doing the work yourself and — who knows — you might even have a little good, clean fun. Regardless of how meticulous you may or may not be about bringing your car back to its former glory, the exterior wash is job one. 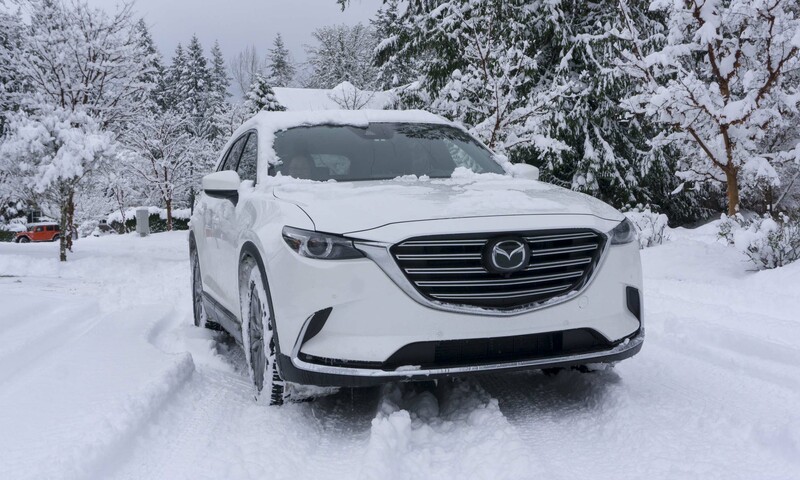 “The most important first step to getting your car back in shape after the winter is a deep cleaning of all the surfaces to remove salt, sand, dirt and grime,” says Mike Deddo, a senior research chemist at Turtle Wax. Sure, you might need to go further with paint cleaning clay, maybe even a polish and a fresh coat of wax, but a thorough hand wash is always the first step. Even if you don’t have time for additional steps, a thorough wash is a big part of getting your car back into shape, so do it right and be happy with the results. 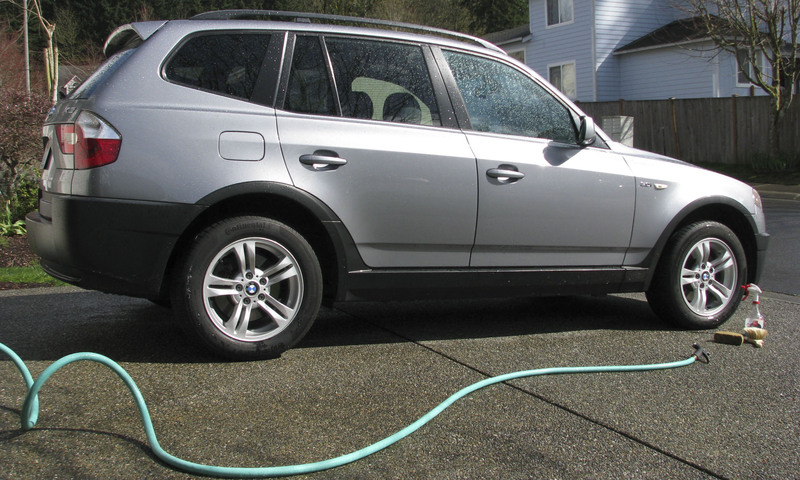 One key factor to a great car wash is using product specifically designed for washing cars. Don’t use other soaps, detergents or cleansers you have around the house; they are formulated for other jobs and may damage your car’s paint. Dishwashing liquid, for example, is intended to remove grease from your dishes and will strip the wax off your car. 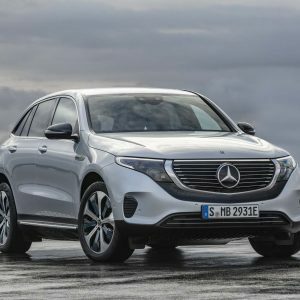 The best place to wash your car is on a gravel or grassy surface to promote water drainage, and the best time of day is either early morning or later in the day, out of direct sunlight when the surface of the car is cool. Begin by rinsing the entire car thoroughly with water. Rinse from top to bottom and try to remove as much loose dirt as possible. “When washing your car the most important things to remember are to always pre-rinse, wash from the top down one section at a time . . . and rinse thoroughly,” explains Mike Schultz, a senior vice president of product development at Turtle Wax. 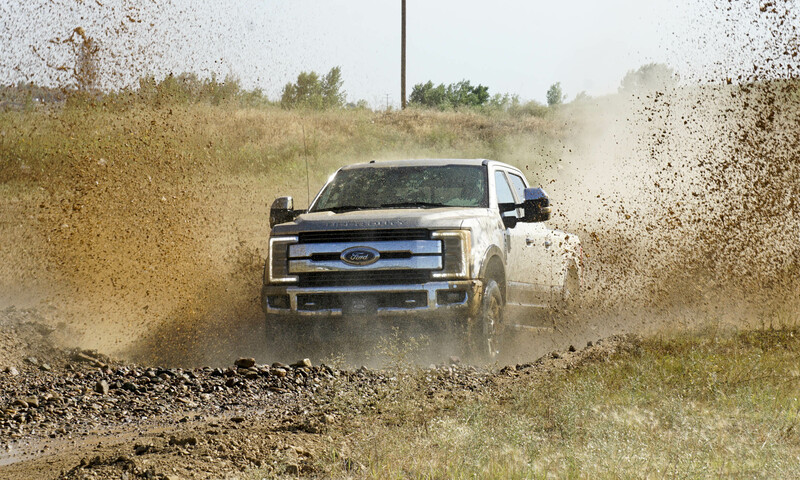 Pay particular attention to the lower body sections and behind the wheels — always the dirtiest part of any car. For the first cleanse after winter, be sure to wash out the wheelwells to remove accumulated sand and salt from winter road treatments. 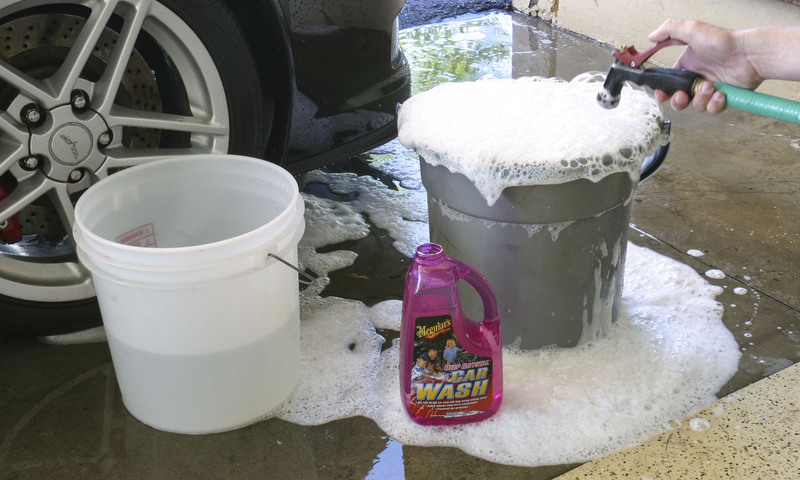 Fill a bucket with car wash solution according to the directions and you’re ready to begin. 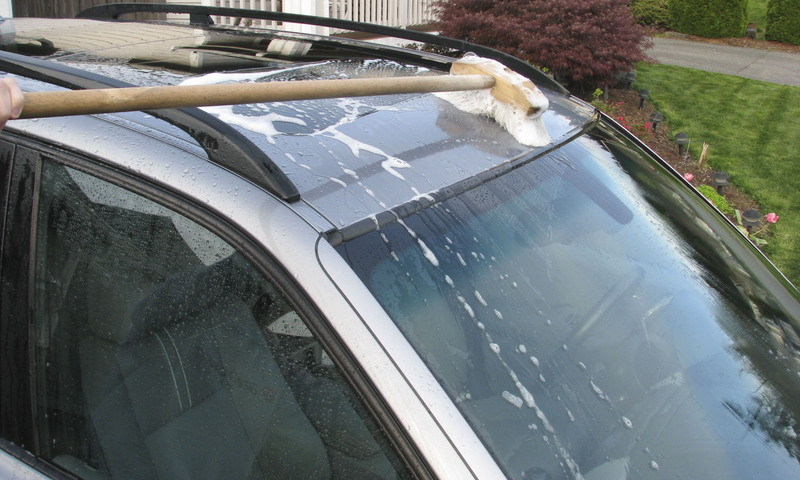 After each section, rinse the area clean of soap and dirt, and rinse the soap completely off the car as it runs down the side, hood or trunk. It’s a good idea to rinse the wash mitt or brush between every section — especially if the car is really dirty — to remove debris or other contaminants that might scratch the paint. A good method for mitt or brush rinsing (without wasting water) is with a second bucket — fill it with clean water, dunking the mitt or brush several times after each section before returning to the soap. Be sure to refill that second bucket with clean water as needed to flush out the dirt. As you wash each section, the idea is to use the soapy wash mitt or brush to loosen the dirt and rinse it away, but not grind the dirt into the paint surface and scratch it. How large of a section you can wash and how often you need to rinse will depend on the temperature and other conditions. You want to rinse the soap before it begins to dry on the paint so that it will not leave residue or water spots. If it’s hot or windy you will need to work on a smaller section and rinse more often. As you continue washing new sections, be sure to keep the clean sections wet as you rinse. 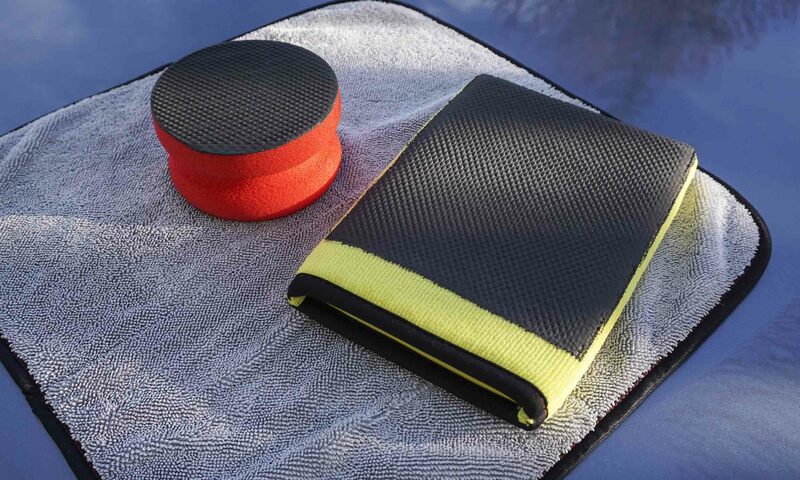 It’s a good idea to use a different mitt or brush to wash the lower areas of the car because they are the dirtiest, and you may not be able to get the mitt clean enough for safe use on upper surfaces. 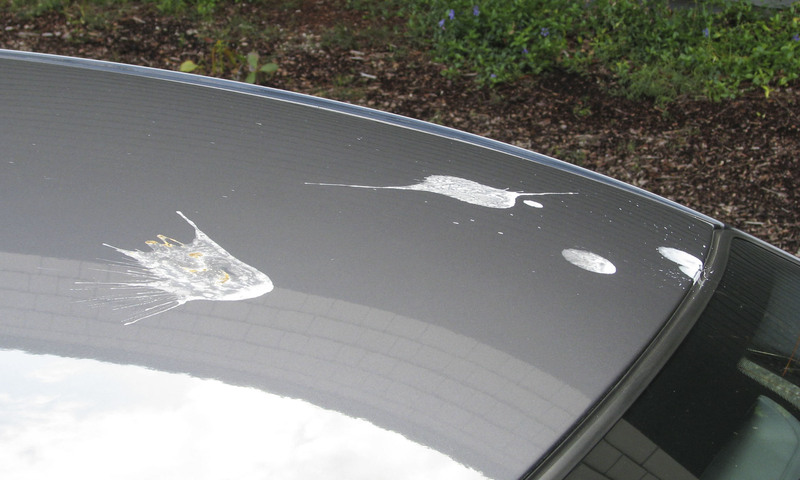 Between washes, if you notice bird droppings or tree sap on your car, it’s important to remove them as soon as possible before they stain or damage the paint. 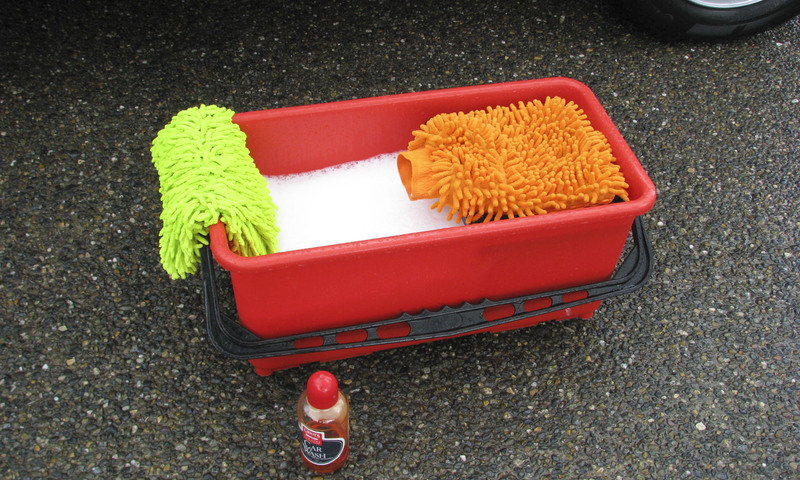 The Griot’s Garage Detailer’s Handbook says to “saturate a 100% cotton towel with full strength car wash and carefully wipe the area.” These contaminants contain abrasive materials that scratch paint, so remove them as carefully as possible. Paint cleaning clay may also work well. Most cars today have alloy wheels with a painted, brushed or clear-coat finish that should be treated as carefully as you treat the car’s paint. 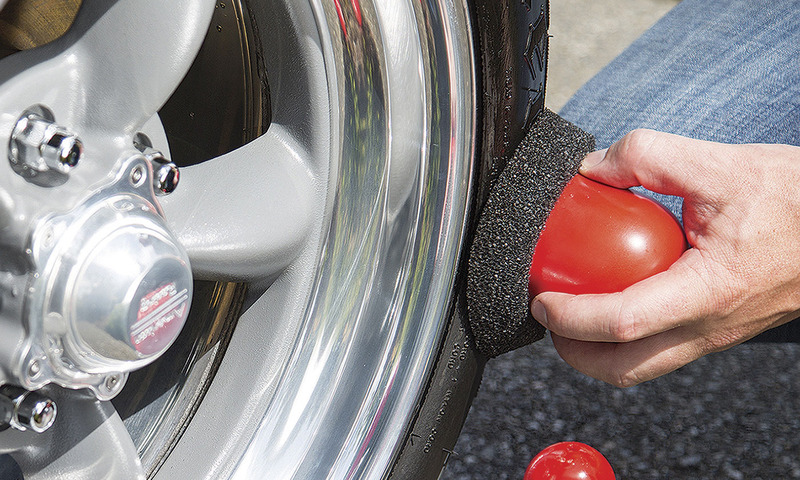 Wheels present a special problem because of accumulated brake pad dust, so it’s important to use a wheel cleaner designed specifically for wheels. Use a boar’s hair brush, wash mitt or sponge to clean the wheels, but not the same ones you use to wash the rest of the car. If you’ve been driving just prior to washing, give the wheels and brakes time to cool before you start because cold water can damage them. 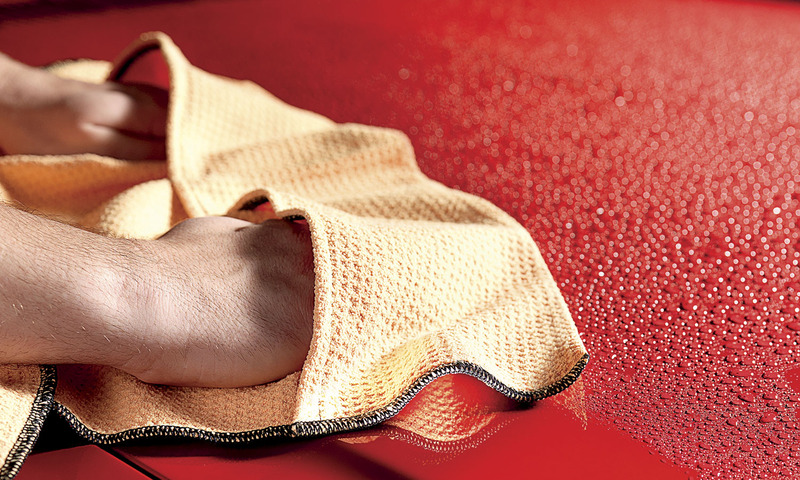 After you’ve washed every section of the car, give it one more complete rinse and dry the entire body using a microfiber towel or a chamois to prevent water spots. Battersby warns: “Don’t dry the car with a bath towel or other cotton towel. 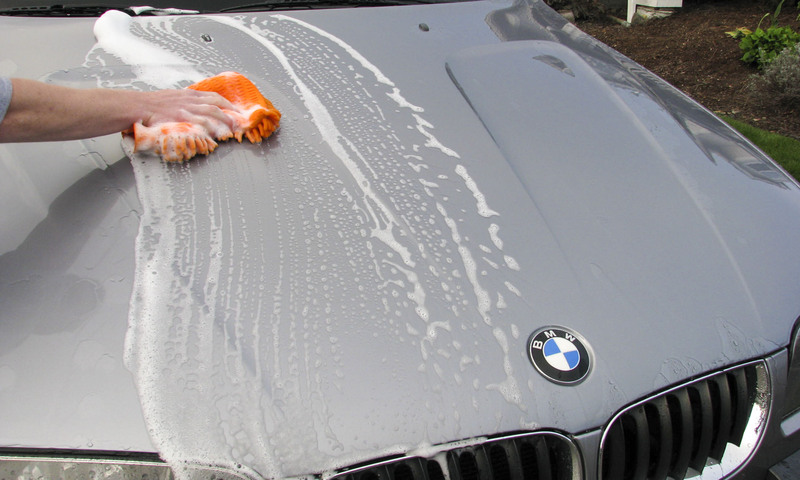 Cotton towels are one of the most common causes of swirl marks and light scratches in automotive paint. 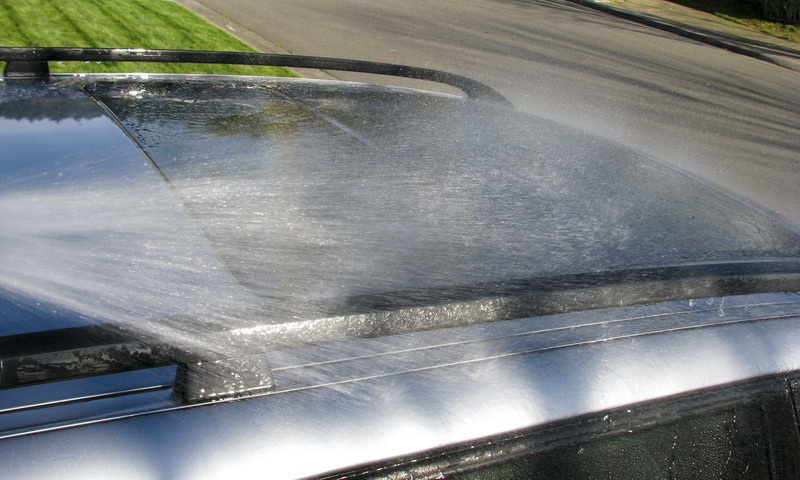 Microfiber isn’t only safer but is also over seven times more absorbent than cotton.” You can also use a water blade designed for car use on flat surfaces such as the roof, hood and trunk. 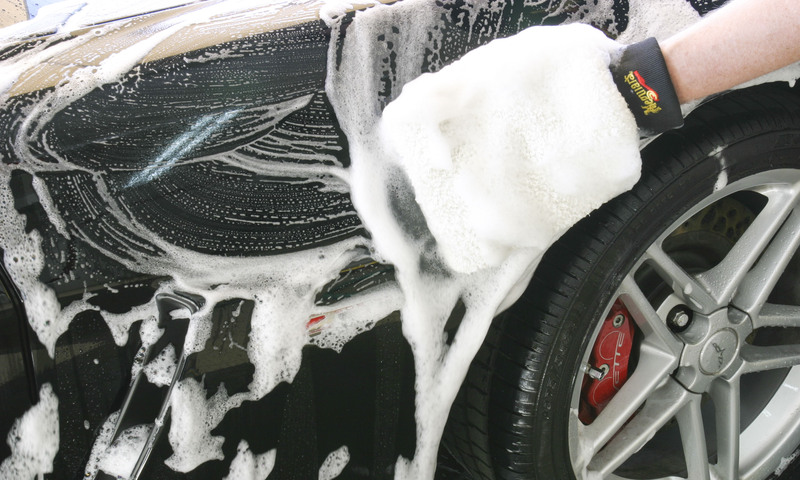 Expert opinions differ, but if you want to keep your car looking its best, washing your car every 1-2 weeks is probably the best choice and actually makes the job easier. Deddo recommends a regular car maintenance program to keep your car looking its best: “A little bit of time each week or two is better than one or two big shows a year.” Battersby agrees. “I typically recommend every other week. Depending on the environment, you can really wash as often as you want as long as you are using safe practices. Washing regularly prevents buildup and makes washing easier overall,” he notes. Spray Wax or Quick Detailer? In some areas, water restrictions prohibit car washing and there are now car washing products to clean your car without water. 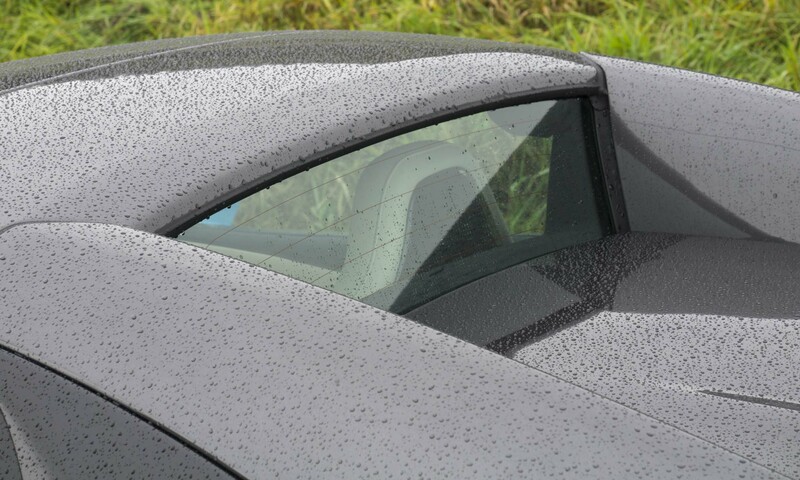 In general, you will need a large supply of microfiber towels and you can really only clean a car that is not very dirty — cars with a lot of dirt buildup will still need to be rinsed to prevent damaging the paint. 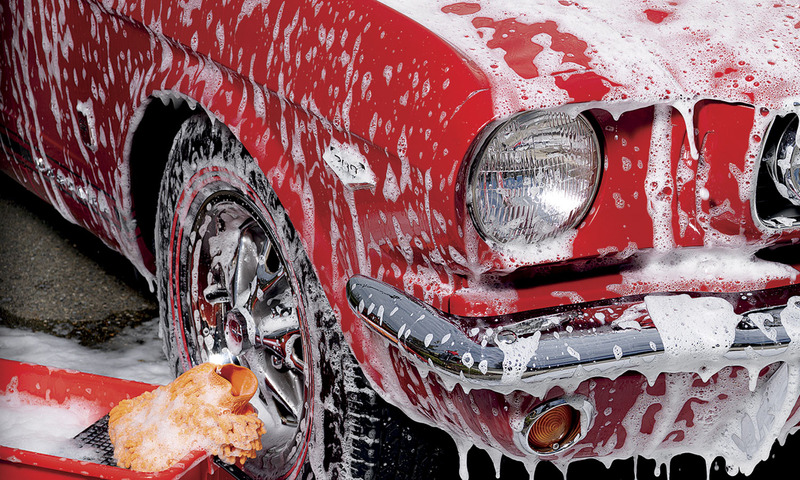 After an initial post-winter cleaning, if you maintain your ride with waterless car wash it should work pretty well. 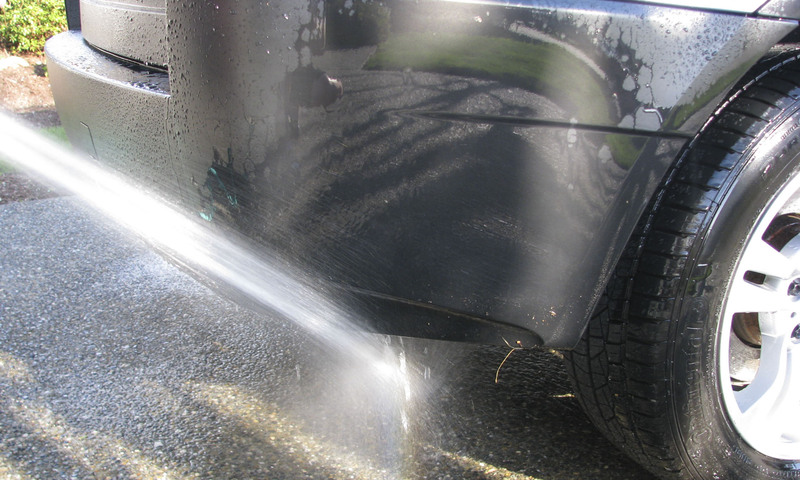 Waterless solutions get sprayed on and then gently toweled off without bearing down on the paint; dirt gets picked up by the towel, and a second towel buffs the remaining car wash off the paint. 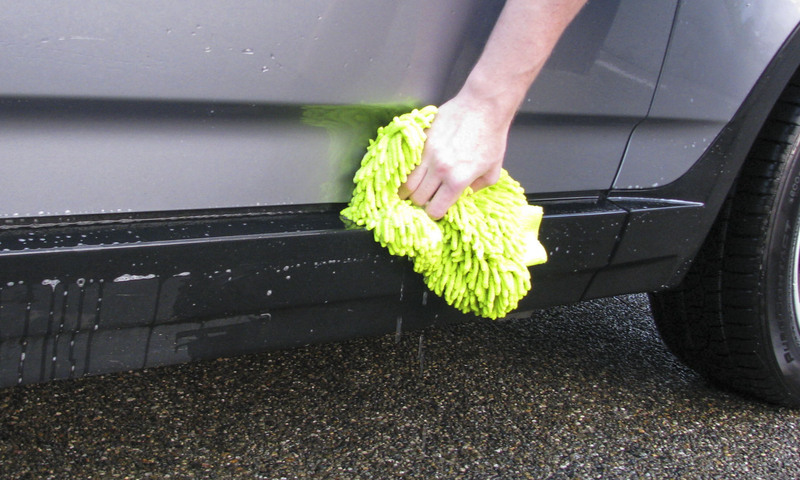 Once a towel has been used to wipe up dirt, a new portion of towel should be used for the next vehicle section. After a thorough wash, your car will look better than it has in months, but your paint still needs a coat of wax to preserve the surface and add depth and clarity. Which wax to use and how often depends on your time and the results you desire. 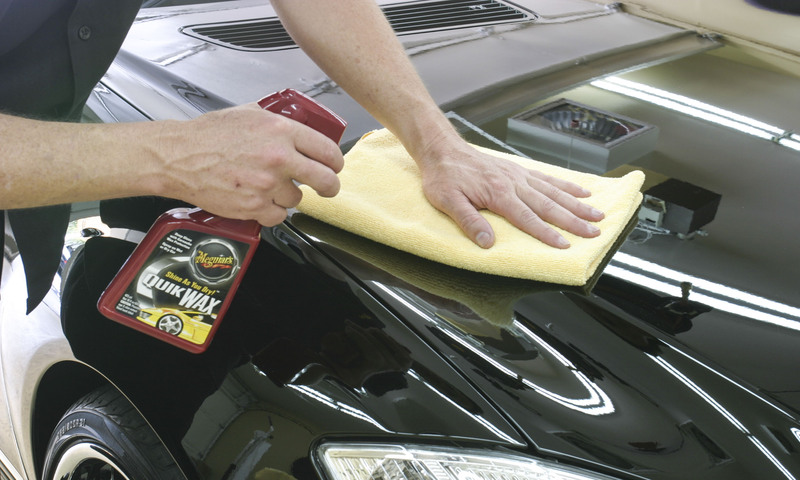 In general, a carnauba-based wax will provide the best appearance, but if the car is outside a majority of the time the wax will need to be applied about four times per year. Paint Sealant Instead of Wax? If you only have time to wax your car once per year, a paint sealant is probably your best choice; if you wax sometime between every other month and once a year, there is a wide variety of synthetic waxes. Battersby offers a good general rule. “I wax my vehicles twice a year: once in late summer/early fall to prepare for fall and winter months, and again in late winter/early spring to prepare for nicer weather and more UV exposure.” You can apply wax either by hand or with a random orbital buffer. After washing your vehicle, run your hand gently over the paint surface; if it feels rough or you hear a sound, then there are tiny contaminant particles attached to the paint. Even though you can’t see them, they are there and you can remove them with paint cleaning clay. Be sure to choose a soft, non-abrasive clay. Working on a small area at a time, spray a specified lubricant on the paint and then slide the clay across the surface until it becomes smooth. Spray additional lubricant as needed and don’t let the clay dry on the surface. Once the clay bar treatment makes the paint feels smooth, wipe it dry with a microfiber towel and move on to the next section. 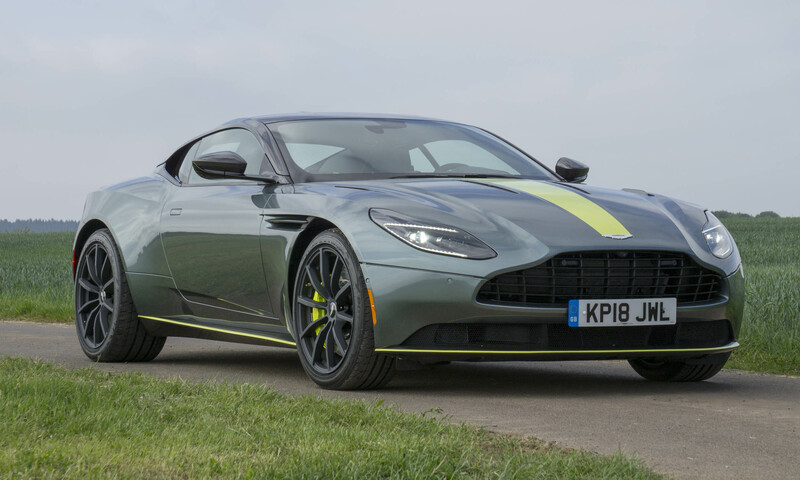 The clay bar will not remove scratches, swirls or other damage to the paint, but it does remove particles that are stuck to the paint surface. You can move on to waxing after finishing with the clay bar, or polish the paint before waxing to remove other imperfections. To create a smooth paint surface before waxing, paint cleaning clay has been go-to solution for many years, with the clay removing the tiniest of particles embedded in the clearcoat. 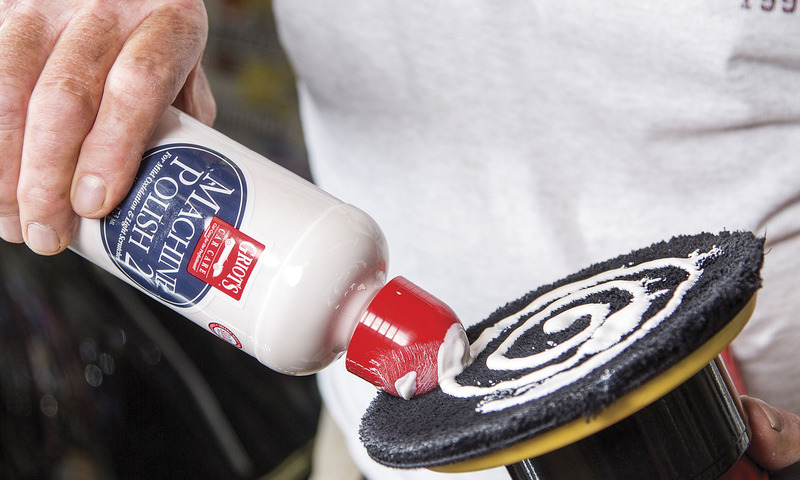 A new solution is synthetic clay in the form of an easy-to-hold applicator or a surface prep mitt that provides similar results. As with traditional clay, spray the surface with the specified lubricant and glide the mitt or applicator across the surface of the paint to pick up contaminants. According to Griot’s Garage, the new synthetic clay works faster, lasts longer and is easier to use than traditional clay bars. When you wax your car, the wax will fill in some scratches and swirl marks, making then look better for a period of time. The only way to remove small scratches and other imperfections is to polish the paint, which actually removes a small layer of paint. 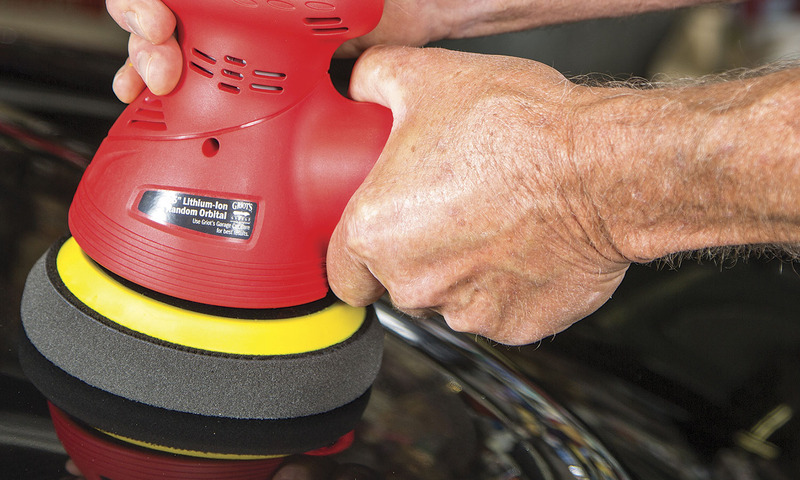 If a scratch is too deep it cannot be removed by polishing. If you decide to polish your paint, it’s very important to carefully choose the products you use to ensure they’re not too aggressive, and to follow the product directions closely to avoid damaging the paint. 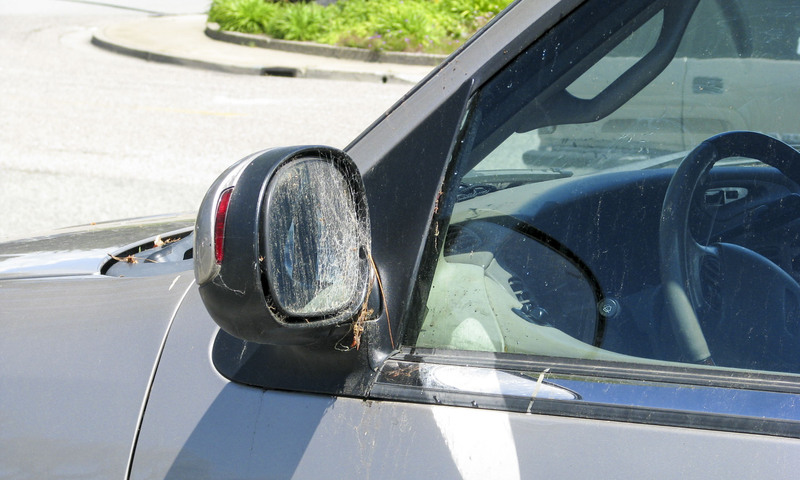 Severe scratches should be addressed by a reputable detail or auto paint shop. 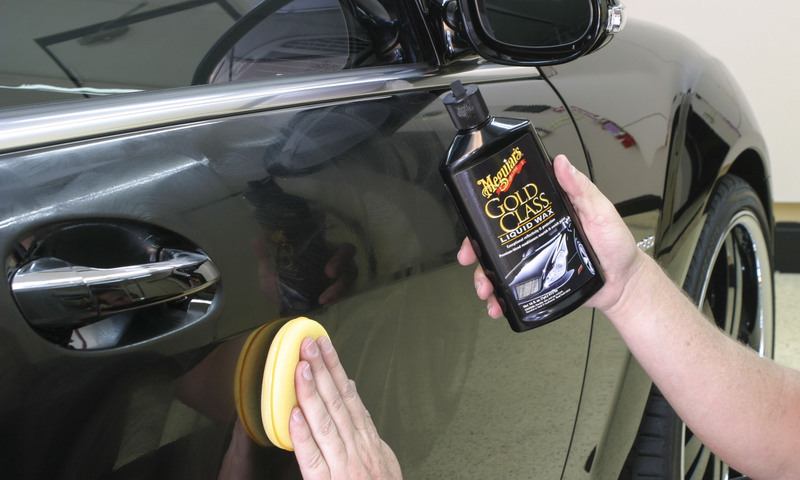 Note that polishing removes any wax on the paint, so if you polish the paint you also need to add a new layer of wax protection. Once your vehicle’s exterior is looking its best, you will most likely want to clean the interior as well. Start with a thorough vacuuming and remove any trash or other items that have been left behind. 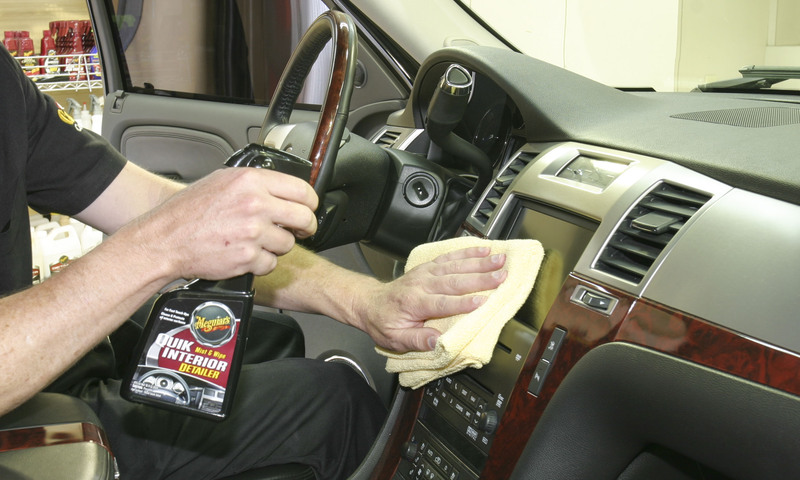 Next clean the windows and wipe down the dash, console, door panels and seats with a damp cloth. If the floor mats are dirty, scrub them with interior cleaner and a stiff brush, but don’t use too much soap and be sure to remove the excess moisture with a wet-dry vacuum. 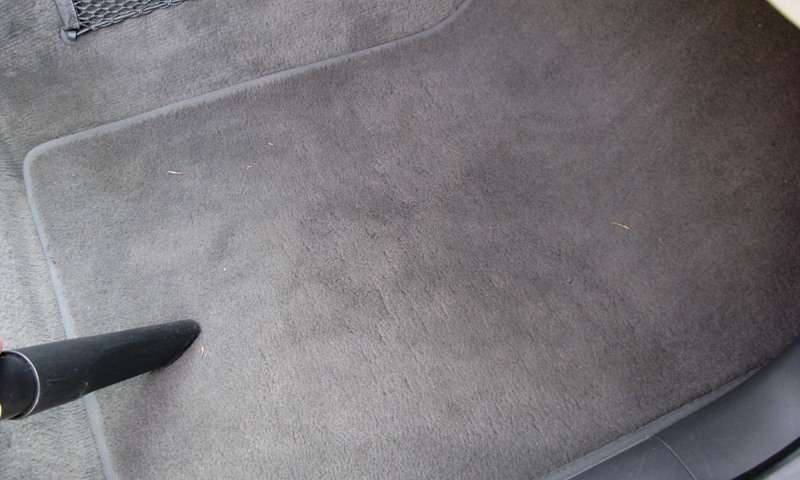 Basic surface wiping and vacuuming will get your interior presentable; of course there are many specialized products for more specific issues — such as leather care and odor elimination — if necessary. Simply put, if you make a habit of vacuuming your car once a week and throwing out anything that has been left behind at that time, your car’s interior upkeep will be fast and easy. 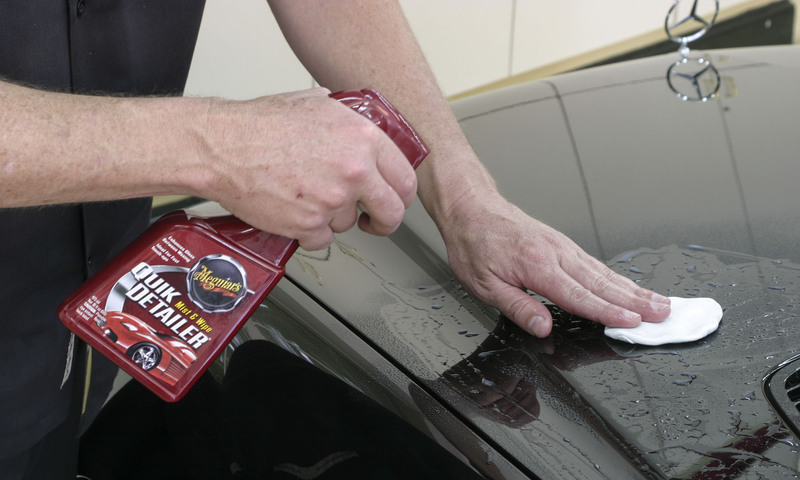 If your vehicle’s leather seats need to be cleaned, use products specifically designed for leather. In addition to cleaning and even if deep cleaning is not needed, a leather conditioner should be applied to nourish the leather and help prevent drying and cracking. If you’re now considering your own car care, remember that you don’t have to do everything at once. 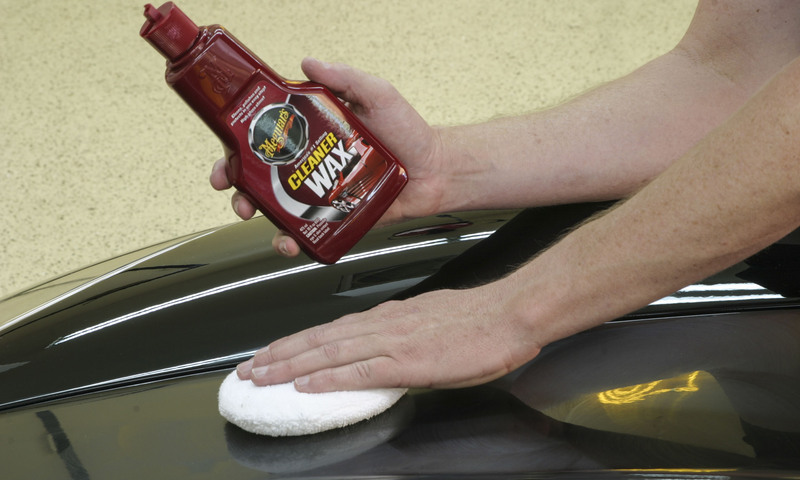 Start with a quality hand wash and then plan ahead for next time, when you can take time to add a coat of wax. Use paint-cleaning clay to remove contaminants for a smooth surface, and then start using spray wax after every wash and you’ll really see a difference. 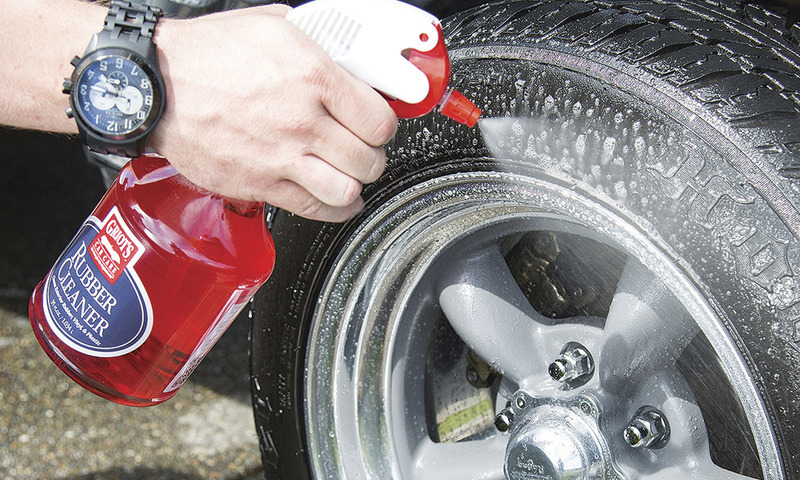 Take just a few of these steps and your car will start to look like it’s washed by a pro.